The HP LaserJet 3000N is a printer which pleases users with high ranges of workloads, delivering fast results and good color quality. The device enables the user to work productively and cost-efficiently. With a high monthly duty cycle, a good processor and a big maximum input capacity, The HP LaserJet 3000N will definitely satisfy your work needs. However, the device is not flawless, with many users reporting different problems, such as a lower cartridge cycle than the official one and jamming. The resolution of the printer is 600x600 dots per inch and the first page gets out in 11 seconds. The rest of the papers are delivered faster than that, with around 30 black and white papers per minute. The speed for the color pages is around 15 per minute, which means four seconds for a page. That's faster than many other models from the same series. The MIPS64 20Kc 533MHz processor allows the printer to transform the document into printed form faster, so that's the answer for its astonishing printing speed. The RAM memory is 128 MB, extendable to 512MB through a 200-pin SODIMM output. The printer is network-ready and can act as a stand-alone print server through the Gigabit Ethernet 802.11b/g wireless LAN. The monthly duty cycle is 60.000 sheets, with the producer advising the users not to get beyond this value, so that the device will have a longer life cycle. This model of HP Printer comes with a USB 2.0 port, an RJ-45 port and an EIO slot. The printer comes with 80 built-in fonts for both PCL and Postscript emulation. Several screen fonts in TrueType format are available with the software solution. The HP LaserJet 3000N Laser Printer is compatible with Windows 98+, MAC 9.2+, Red Hat Linux 6.x+, SOLARIS 2.5x+ and some other operating systems. The minimum system requirements for Windows Vista and 7 are 1GHz processor and 512MB RAM. The computer also needs a 1284-compliant bidirectional parallel port and a USB. Macintosh users will need 160MB available hard disk space and the same compliant port. The standard input tray is a 350-sheet one. However, the optional input tray can hold up to 500 sheets, but you will have to pay for it. The output is a 250-sheet tray. The HP LaserJet 3000N Laser Printer supports plain, transparent and glossy paper, envelopes, labels and cardstocks. The supported envelope dimensions are: Monarch (3.87 x 7.5), US No 10 (4.1 x 9.5), International C5 (6.38 x 9), International B5 (6.93 x 9.83) and International DL (4.33 x 8.66). All the dimensions are in inches. The device is Microsoft Windows Vista certified, meaning Windows 7 users will also enjoy a good experience with it. The printer's dimensions are 15.7 by 17.7 by 15.7 inches, so your small home desk might not be enough for it to fit in. The device is also pretty heavy, weighing 59.7 lbs. 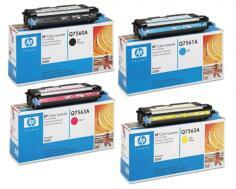 Some users reported this printer as not being cost-effective because of the cartridge ink which gets finished fast. 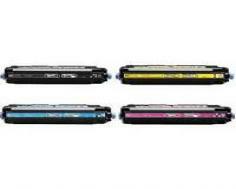 The color cartridges yield around 3.500 pages, while the black one yields 6.500 pages. The life of the black cartridge is not bad at all, but the one of the colored ones is not good, so maybe that's why some users reported cost-effectiveness to be impossible with this device. Furthermore, there's not a duplexer built-in, so the option of automatically printing papers on both sides is not included. Compared to other printers in the same price region, The HP LaserJet 3000N does not offer so many features. 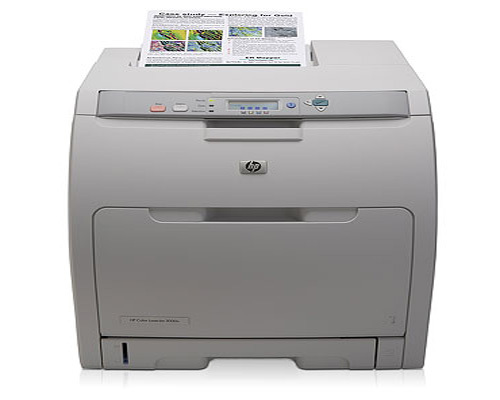 The HP LaserJet 3000N is not Energy Star certified, but the following model, The HP LaserJet 3000DN got certified. 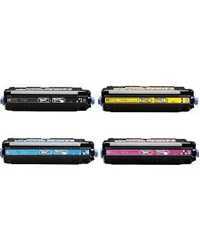 Review it: "HP Color LaserJet 3000n "
HP recommends using the following cartridges for this type of printer: Black Print Cartridge Q7560A, Cyan Print Cartridge Q7561A, Yellow Print Cartridge Q7562A and Magenta Print Cartridge Q7563A. Printer's package contains a USB cable, a 100-sheet multipurpose tray, the default 250-sheet input, HP JetDirect Fast Ethernet Embedded Print Server and the software installation CD.